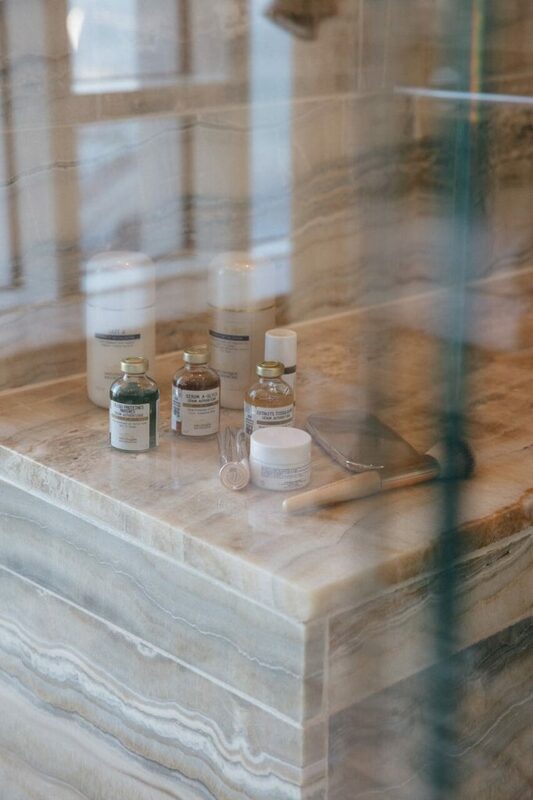 Willow Stream Spa is not only a beautiful luxury spa, but also the first hotel spa in Canada to partner with Biologique Recherche – an ultra prestigious couture skincare line designed and produced in France. 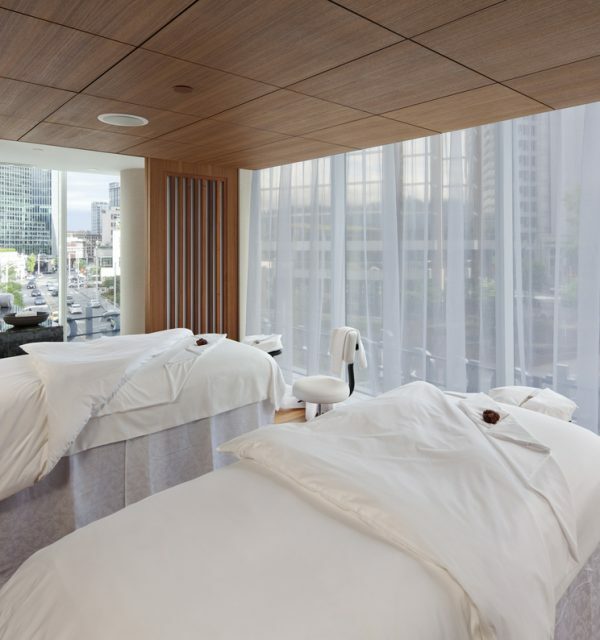 Housed in the stunning Fairmont Pacific Rim, Vancouver’s ultimate luxury hotel ranked a the World’s Best Business Hotel by Condé Nast Traveler readers and awarded the coveted AAA Five Diamond Rating, this spa is well worth visiting when in town. 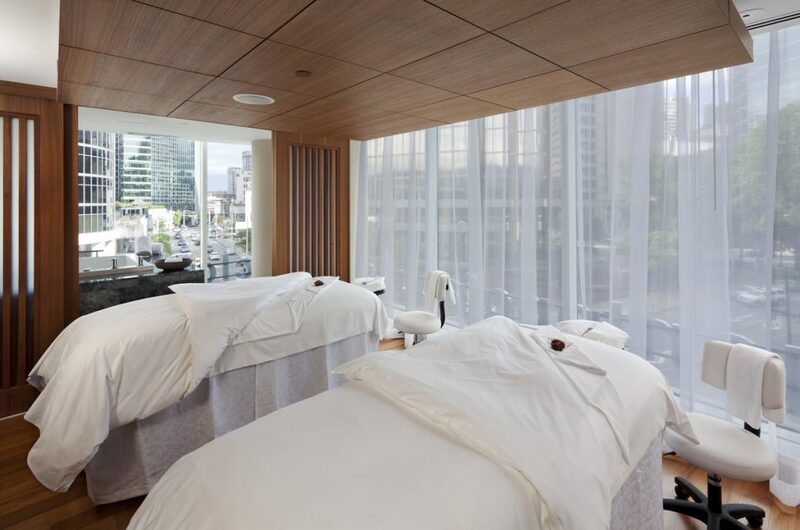 Recline in the meticulous steam room with a view of the Vancouver mountains and harbour, or bring yourself back to life with the Jacuzzi or revitalising hot and cold hydrotherapy shower experience, this is a spa to unwind and recoup it. 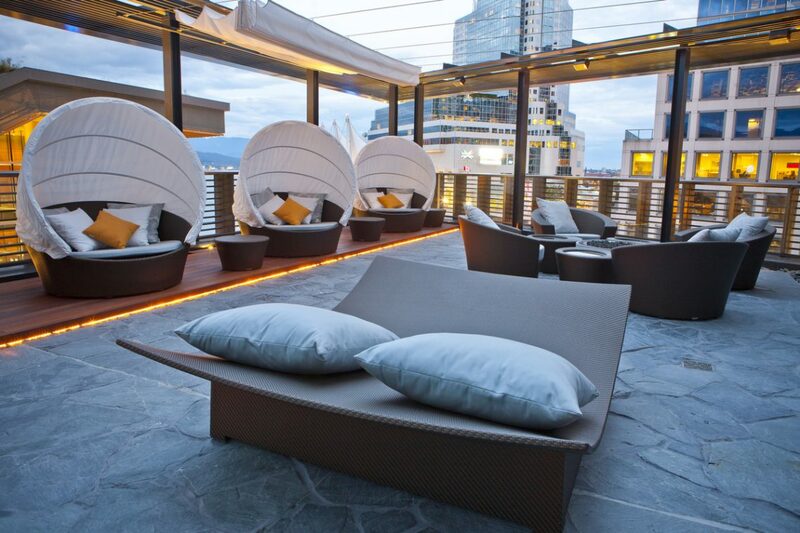 Feeling more like a resort than a downtown hotel, there is a beautiful rooftop and pool sundeck, outdoor infra-red sauna and myriad of elegant features that mark it as a decadent Fairmont feature. Within Willow Stream Spa, a 8,500 square foot expansive space, are nine treatment areas, a couples’ room with deep Japanese Zen tub, a Nail Spa, three lounges with tea and healthy snacks, a full fitness centre, and that famous terrace. There are also uniquely Vancouver experiences, like the ‘Van Active Body treatment’ to get you back into shape after traversing the Canadian mountains next door, the ‘Fountain of Youth’ featuring Vancouver-based Beauty Through Balance products, and Thalassotherapy, a raw ocean based practice for healing and wellbeing. Coastal Mountain Retreat, is an exclusive line of local, customised aromatherapy products designed by the spa’s resident aroma-therapist, Shannon Abbott. She’s created a unique blend of cypress, cedar wood and clary sage to encapsulate Vancouver’s Pacific Ocean and shore-lining forests. Meanwhile, the Digital Detox treatment has been created to combat our busy, tech-driven world with essential oils of grapefruit and black pepper to create an ultra soothing escape. Willow Stream focuses on natural and authentic products that speak to the spa’s natural surroundings of ocean, rainforest, and mountains. 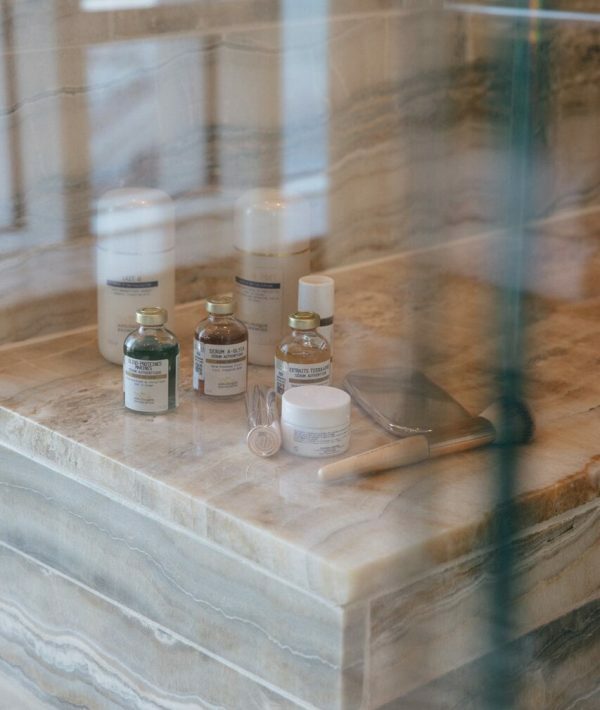 Their use of local ingredients like harvested Pacific seaweed, and intertidal glacial clay from British Columbia, the spa is all about using the power of nature and science to recoup and revitalise. Excitingly, too, Willow Stream is now home to Biologique Recherche, an ultra-premium French skincare brand. Founded over 40 years ago by a trio that features a biologist, physiotherapist and doctor, this brand began as a research and development laboratory formulating new products for discerning professionals. 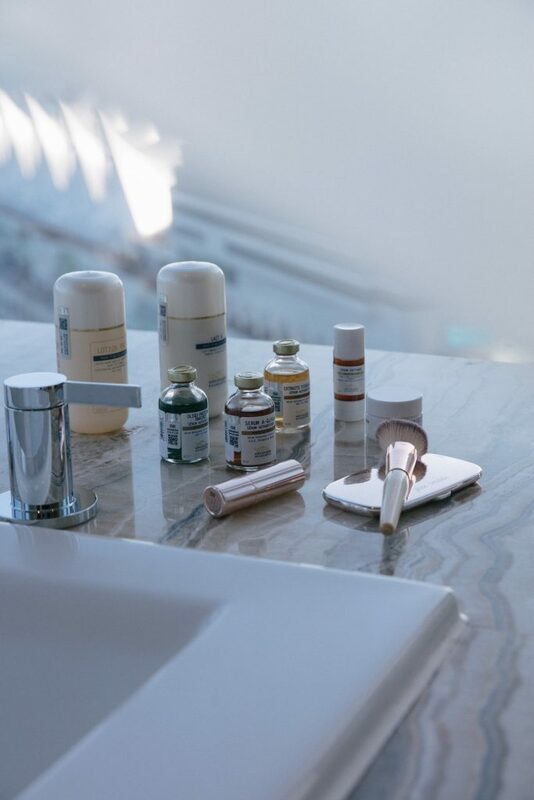 Now, Biologique Recherche continues in this clinical approach to beauty, by using innovative protocols and procedures that deploy only pure, concentrated, and raw ingredients. With such a focus on nature and science, it makes sense that Biologique Recherche would choose the beautiful and natural Spa space of Willow Stream to be its first Canadian home. Meanwhile, the Ambassade de Beauté, the brand’s flagship beauty institute, is located at the prestigious 32 Avenue des Champs-Elysées. 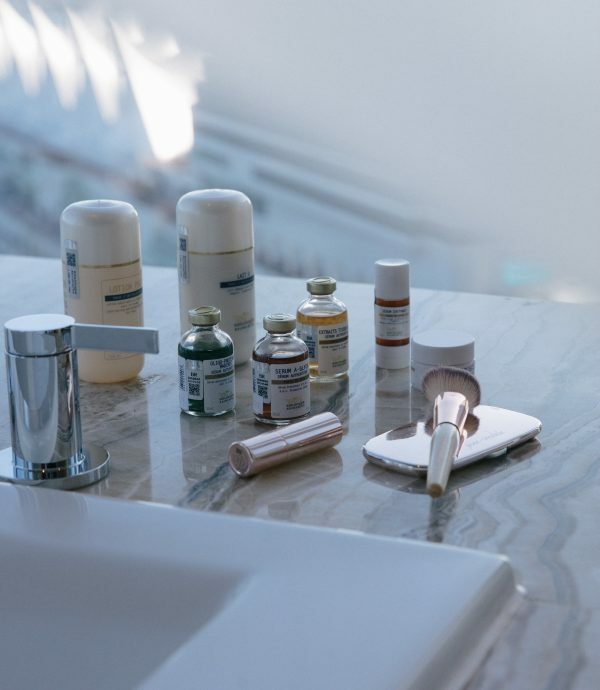 Biologique Recherche views skin as an organ that is directly connected to all other vital body functions, and understands how it responds to stress. To this end, the brand is highly personalised: it recognises that every individual has a different bodily algorithm between their skin and their own response to stress, so it offers a myriad of different options. Yet each option is united in that crucial emphasis on nature and science: each product has minimum 20% botanical, marine and biological extract, refuses artificial fragrances, and respects the original structure of the active ingredients – meaning they are best used cold. And of course, each product is deployed in a highly individualised way. Given the sheer volume of different options available to use, it is important that each individual understands their own skin as an organ and deploys the right combination of products, in the right way. To this end, the team that work with the Biologique brand have to be carefully trained and certified in the methodology of personalised care for an individual. Biologique has created a formula for this, called Skin Instant©, a term used to describe the skin’s epidermis as a unique canvas; no two skins are alike, and thus a personalised approach to each person is key. At the Willow Stream Spa, the team have been trained and certified in the Biologique brand’s methodology of Skin Instant. They are able to diagnose your skin meticulously and instruct you on what you need, when, and how. To encapsulate this, Willow Stream Spa features three signature custom facials: Custom Glow, a highly personalised facial that brings an in-depth skin analysis and one of BR’s signature boosters; Second Skin, a treatment that provides a genuine alternative to conventional fillers; and a VIP 02 an oxygenating and balancing ritual suitable for all Skin Instants©. I arrived on a Thursday morning, after a hectic night out and in much need of a restful spa session. Lounging in the steam room, overlooking the mountains, and then blasting myself with hot and cold jets in the hydrotherapy shower to wake myself up, I felt better within 30 minutes of arriving. My facial began at 10.15am and took place in one of the nine luxurious treatment rooms. True to their description, I found myself getting tucked into a delicious, heated electric-duvet treatment chair, wrapped up in a cosy cocoon before treatment began. My therapist brought out the Skin Instant testing apparatus to begin my in-depth skin analysis, and was able to tell me within 10 minutes everything about me – from the exact levels of hydration in my left and right cheeks, to the elasticity in my eyes and jowls. Both alarming and illuminating, she navigated the vast portfolio of Biologique products to configure my unique concoction (hydration focus) and got to work. The whole process was thoroughly enjoyable. The products were used off ice, and therefore pleasantly cool which made a welcome contrast to the warm sensation of being wrapped up in the blanket, and smelt clean and fresh. It was clear from the gentle oceanic and nature-driven aromas that the products are predominantly natural. My therapist worked quickly and effectively, layering, scrubbing, lathering, and moisturising my skin for a full hour. Before I knew it, the treatment was up, and thoroughly rested, I was allowed to examine my face. The glow was palpable, the texture plump. My skin was that of a youthful girl. Two weeks on, my skin remains firmer and dewier than before; I have been very pleasantly surprised. Whilst I am not one to spend on skincare treatments, I have found myself purchasing Biologique with full trust and confidence that this is a product I want to invest in. Both natural and science-driven, this personalised brand has spoken to me in a way that most others have not. I appreciate the hands-on, unique approach that they take to one’s skin; you cannot buy it without having a skin-analysis consultation. It is this level of care and attention, coupled with the impressive results, that has made me a Biologique convert. I can only recommend you try it yourself. Willow Spa, meanwhile, is a place I will be returning to again soon. That summer patio will be glorious once the sun is out.